As Great Lent approaches, Fr. 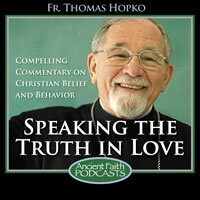 Tom Hopko provides helpful reading recommendations both from scripture and from other books. A very helpful book to read during this season is Fr. Tom's own The Lenten Spring. Comparing the two sources for readings during the Paschal season-- the Acts of the Apostles and the Gospel of John.